Before I get started with my reviews, one note about my star ratings. I give a number of stars (0 through 5) based on how much a movie entertained me…so looking below, while I think The Artist is perhaps more “artsy” of a movie…I was more entertained by Young Adult I must admit…I usually reserve 5 stars for a movie I absolutely LOVE. For me a 3 star movie is still definitely worth seeing but I might not need to see it again…2 stars might be getting into a “not so impressed.” For more info on the stars…check this post (although I’m not sure it always translates so literally). Last Saturday as soon as I posted the mission I started off by seeing Young Adult. I had mixed feelings about this movie when I originally saw the previews. Knowing it was written by Diablo Cody (writer of Juno) I knew it had potential to be good. It was just that concept looked really silly…a woman in her mid thirties is a successful writer of a young adult series of books. She finds out that her high school boyfriend has a new baby…and feeling stuck in her own life in the big city decides to head back to her hometown to win him back. To me the concept just seemed annoying. But when the critics enjoyed it, that confirmed its potential and I was glad to see it on the list. 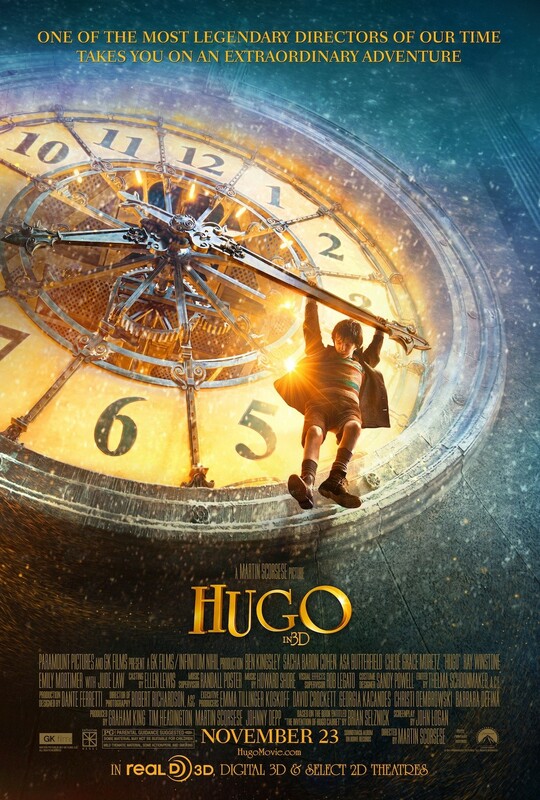 I ran out to see Hugo before it left the theaters. I wasn’t quite sure what to expect from the trailers but I had sort of got the impression of a picturesque children’s movie. While it is very beautifully shot, and it is about a kid, I don’t necessarily think the film was as directed at kids as I thought it would be. The movie is about a young boy who loses his clock-maker father in a fire and goes to live in a train station with his drunk uncle who teaches him to care for the station’s clocks. Meanwhile he tries to find pieces to complete his father’s last complicated side projects. In the attempt to find these pieces, he meets a young girl and her grandfather who is unexpectedly connected to his project. This film was hyped a bit and got good reviews from critics which may have sent me into the theater with high expectations, but I was a bit disappointed with the movie. While it was very pretty and a cute story, I had a few issues with the film as a whole. There were a lot of times when the dialog was way over dramatic. Without giving too much away, a lot of dramatic pauses seemed unnecessary and there were things that characters kept a secret from each other that didn’t seem necessary. The comic relief was fine, but felt sort of disconnected (particularly in the beginning) from the more dramatic parts of the film. Then there were other things that were never fully explained. I think it was a cute movie and story, but I just found myself rolling my eyes here and there at these issues. I’d wait for this one on DVD. 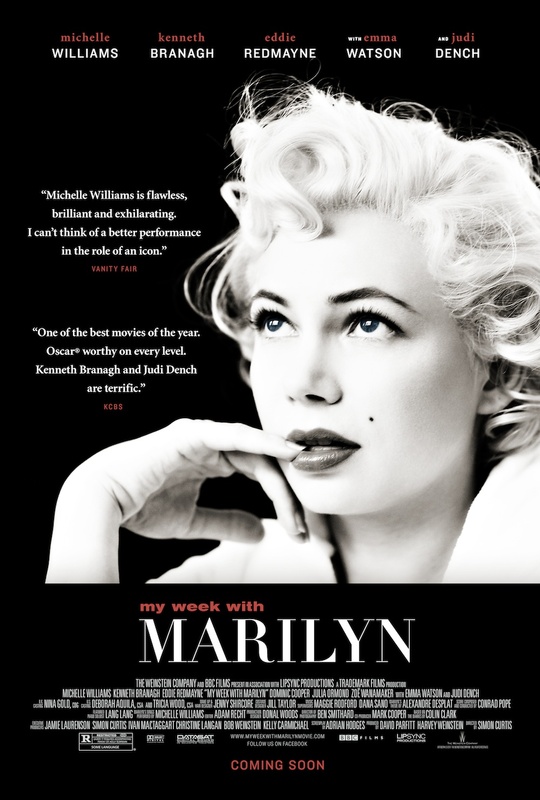 This weekend I caught and early showing of My Week With Marilyn. I wasn’t sure what to expect here but a great performance from Michelle Williams. I definitely got that. Michelle did a great job and definitely transformed into Monroe. Last night she won a Golden Globe for her performance and based on what I’ve watched so far, I agree. I definitely think she will be nominated for an Oscar. The movie itself was interesting…the true story of how a young man working on a movie set in England manages to grab the attention of Marilyn Monroe…for a week. I think it gave a real insight as to what it might have been like to work with or even be Marilyn. I really liked the film…but I think Michelle William’s performance was the best thing about the movie for me. 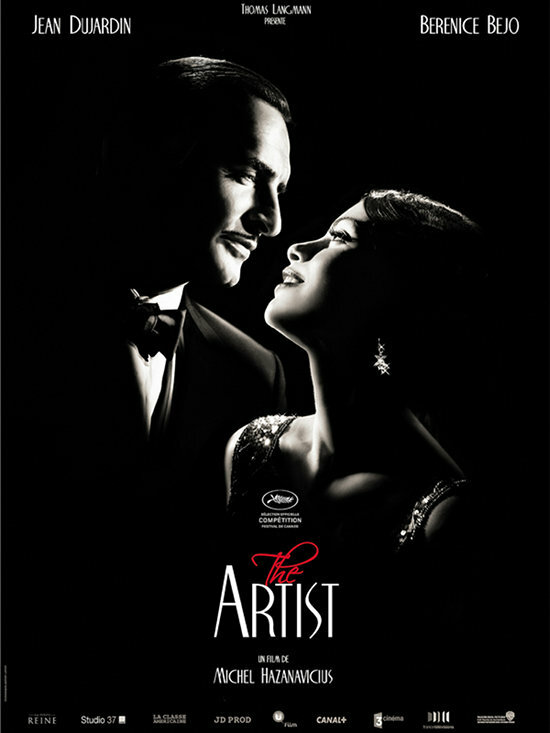 This morning I ran to catch the silent film, The Artist. It was a really cool film about a silent film star who looses it all when “talkies” come along…and a newcomer actress who becomes very popular when sound has enters the theaters. It was a very interesting movie, and definitely worth seeing just for the fact that you realize how much you can understand without having much dialog in a film, even a film about sound entering the movies. I think the actors did a great job, especially with their expressions. The movie was cute and I think it was a good story. I think it’s a great movie to see…but as a warning…I think it has been getting a lot of its attention due to its format (being a silent film). Don’t get me wrong…I think it’s a good movie…but I do think it being a silent film is getting it more attention than this story would if it wasn’t silent. The movies this week were great…but I think its sort of funny that a lot of them had the theme of classic movie making. I don’t think I’m giving too much away to say it plays a large roll in Hugo as well. The only one without movies in the theme was Young Adult! Have you seen any of the movies above? Agree or disagree with my comments? Let me know in the comments below! I am still watching movies today so I will be sure to post again soon…coming up next: Moneyball and The Help. Enjoyed your reviews. Looking forward to your reviews of Moneyball and The Help. (I saw The Help, and want to see Moneyball) This weekend I went to see Mission Impossible, very entertaining, although not believable, I would give it 3.5 stars.